So this is Cassandra Calin. No, seriously, that’s her. 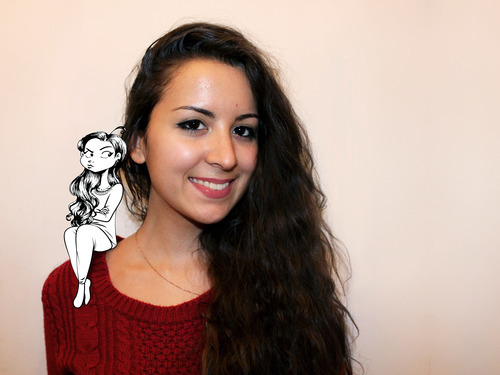 She’s a 21-year-old comic artist, illustrator, and graphic designer based in Montreal, Canada, and possibly an up-and-coming social media celebrity. Her true-to-life humor and spot-on drawings already earned her some 80,000 followers on her Facebook page. But she aims higher with her dreams—and we’ll get to that in a while. When I first encountered her drawings online, it occurred to me that she’s probably the funniest girl I’ve seen on the Internet, and so it was with quite some appreciation that I read her positive response to my email interview request. Calin’s family is from Romania but they moved to Canada when she was 10. “Because I was very young, I never truly felt a culture shock,” she said. “I learned French in a matter of months, I already knew a bit of English from playing video games and watching Cartoon Network and I quickly made new friends.” She still misses her family and friends back in Romania though and visits every once in a while during summer. In hindsight, it’s not hard to see how she ended up being a comic artist. “I am not exaggerating when I say that I’ve been drawing all my life,” she said. Though her family “had a great sense of humor,” drawing on furniture can be traumatizing—for parents. Despite being “surrounded by people who always enjoyed having a good laugh,” Calin was never a funny person in the sense of being a classroom clown. “No, no! I was the shy and quiet girl who was always sketching or drawing caricatures of the teachers during lectures,” she explained. “But when I was with my friends, it was a whole other story,” she said. Her star began to rise about a year and a half ago when she started to post her drawings online. In about six months, she had 10,000 followers on Tumblr. In another eight months it was already 40,000. As opposed to common cartoon stereotypes of wild caricature or idealized characters, Calin seems to be winning points by doing just the opposite. She basically draws real people in real situations. And there’s another personal touch to her art. Even on the first sight one may notice she puts incredible amount of effort into drawing detailed, almost realistic looking hair for her character. Still, she gave it a try. 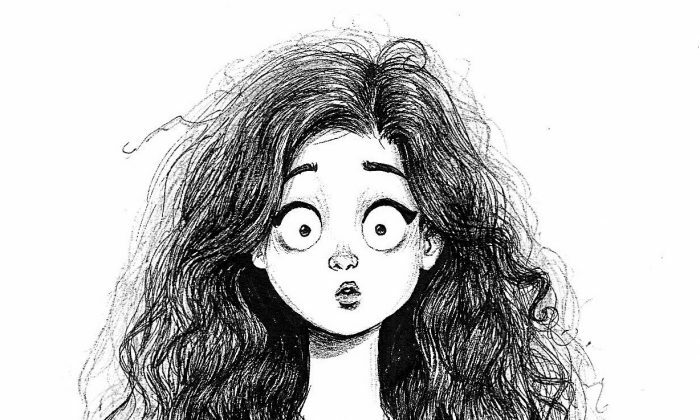 The result was the “Hair Expectations vs. Reality” comic and—it went viral. Chances are, without Calin’s drawings I would have never understood the plight of having long curly hair. Even after seeing her comics, I was suspecting hyperbole. So I asked. I mean, can it really be that tough? “Yes, to me it is! Long hair requires a lot of maintenance, patience and prayers for it to look good,” she said. And, hopefully, I’m a more empathetic person toward the long curly-haired since. Of course, that’s not the only thing an “expressive, sarcastic, geeky and a bit grumpy” 21-year-old has to say about life. Whether it’s being single, busy, sleepy, tired, hungry, living in Canada, or shopping, Cassandra is there, sometimes sulking, but ultimately pulling through. And it looks like people like it—quite a bit. “My art is my way of expressing myself; how I feel, what my views are, who I am… Some people write, others verbally express themselves, I make art. It’s a passion and a huge part of my life,” Calin said. And I thank you for sharing it. Oh, and what’s the big dream of hers I promised to divulge? Thank you for talking (well, writing) to Epoch Times.